Arizona State University is ranked No. 2 in the nation among up-and-coming schools in the 2015 U.S. News and World Report Best Colleges Rankings. The ranking looks at universities most often cited by college administrators asked to nominate schools that have made the most promising and innovative changes in academics, faculty and student life. The W. P. Carey School of Business at ASU was recognized among the nation's top 30 for undergraduate business schools – the ninth time in 10 years the school has made the top 30 list. In addition to the No. 29 ranking overall, the undergraduate business program is among the top 10 in the West. The school’s acclaimed supply chain management program ranks No. 3 nationwide in the specialty category for its field. The school also has several other programs in the top 30 – entrepreneurship at No. 19, management at No. 20, management information systems at No. 15 and marketing at No. 23. ASU also is ranked 34th among the best colleges for veterans and No. 63 for the country’s top public schools. Among national universities overall, ASU moved up to 129 from last year’s ranking of 142 in the nation. Rankings compiled for the Best Colleges report includes data on nearly 1,800 colleges and universities. The ASU Ira. A. Fulton Schools of Engineering is also advancing among the best undergraduate engineering programs in the nation, at number 41 in the rankings, moving up from 43 last year. Other notable milestones that ASU programs have earned through previously released U.S. News and World Report rankings include the W. P. Carey School of Business that ranked No. 2 in the nation for the best online graduate business program. U.S. News and World Report cites the school’s graduate business programs that are accredited by the Association to Advance Collegiate Schools of Business, the gold standard of business school accreditation. Online bachelor’s programs at ASU also have scored among the top 10 in the nation, at the No. 9 position. ASU is the only school in the Pac-12 to make the top 10 among best online bachelor’s programs. In addition, ASU's Sandra Day O'Connor College of Law is ranked 31st nationwide among public and private law schools, according to the 2015 "Best Law Schools" list released by U.S. News & World Report. The College of Law's legal writing program also ranked No. 8. 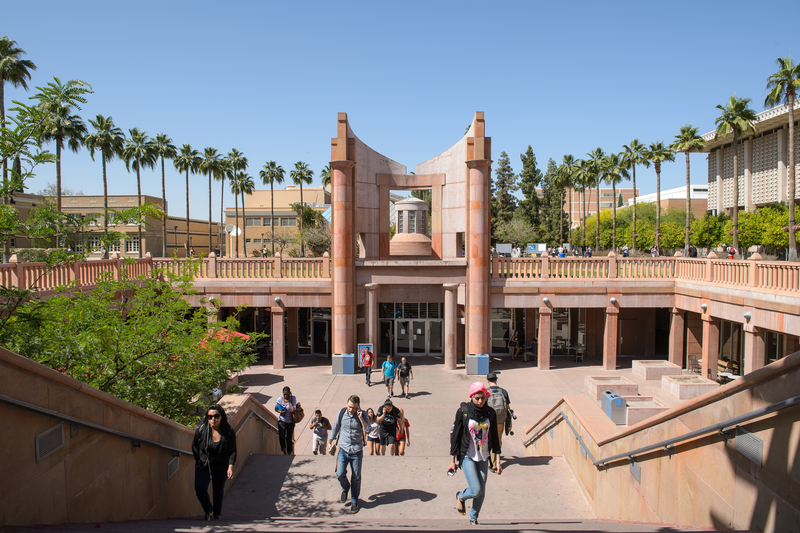 • The Princeton Review ranked ASU one of the country’s top universities for undergraduate education in its 2015 edition of “The Best 379 Colleges.” The ranking puts ASU in the top 15 percent of all four-year colleges in America. • ASU is ranked 88th in the world by the Academic Ranking of World Universities and 48th among all universities in the United States. Compiled by Shanghai Jiao Tong University, the rankings compare more than 1,000 higher education institutions worldwide and are considered one of the most prominent world university rankings. • Arizona State University was named a “Military Friendly School for 2014” by G.I. Jobs magazine for five consecutive years. The list honors the top 15 percent of colleges, universities and trade schools that are leaders in providing educational support benefits and paths to success for military veterans. The university also ranked No. 14 on Military Times Edge magazine’s “Best for Vets” list. Two ASU professors from the School of Earth and Space Exploration provided Congressional testimony in support of NASA’s planetary sciences program on Sept. 10. 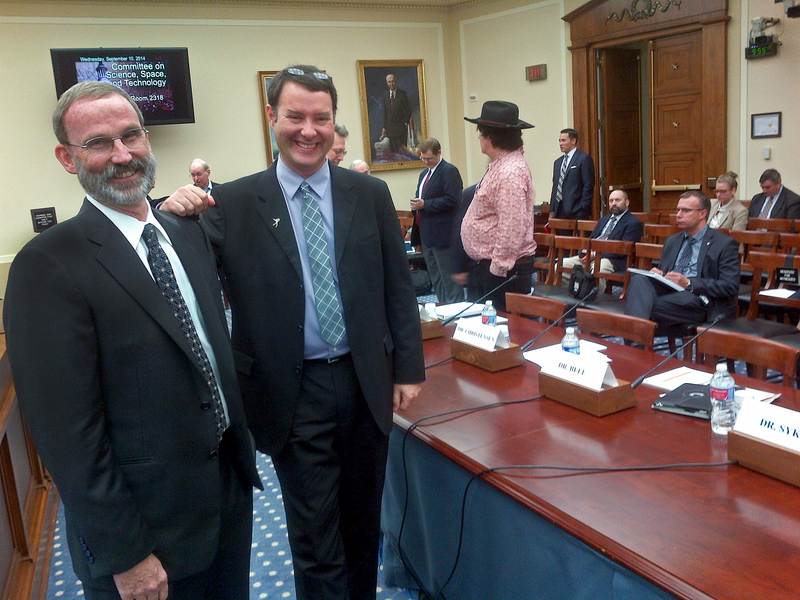 Two Arizona State University professors from the School of Earth and Space Exploration provided congressional testimony, on Capitol Hill, Sept. 10, in support of NASA’s planetary sciences program. The hearing was held to review numerous issues facing NASA’s exploration of the solar system, including the agency’s recent and proposed budget levels for planetary science, low inventories of Plutonium-238 for deep space missions, and possible new directions for future commercial interactions between NASA and space-related companies. NASA has had an active solar system exploration program dating back to the 1960s. The program has turned in a number of successes in exploring the planets and other bodies in the solar system, helping us to learn more about our own planet and how we got here. Both Christensen and Bell said recent cuts to the agency’s Planetary Science Division have dramatically slowed the pace of new missions and future discoveries, and have created an air of uncertainty in the program. Both Bell and Christensen spoke of the past successes in learning more about Mars, exploring the icy, ocean moons of the outer solar system, and in getting the first close-up glimpses of asteroids as important scientific milestones that should not be ignored. However, in recent years the program has had to deal with many proposed cuts. Starting with the FY13 budget request, Bell said, the administration requested a 21 percent cut in NASA’s Planetary Sciences Division, and it continued to target planetary science in its FY14 and FY15 budget requests, with overall funding some $230 million less than the previous decade’s average of approximately $1.5 billion per year. Because planetary science missions take several years to conceptualize, design, launch and explore, Christensen said funding consistency is of prime importance to the success of the program. For Bell, who will lead development of the camera system on the Mars 2020 rover, the fact that the technology is there and the desire to learn more about our home planetary system is evident. We are at the dawn of a new age in space exploration. “For the first time in human history, our ambition is no longer bounded by limits in technology, but by self-imposed limitations on resources,” he added.